BUGWERI – The FDC electoral commission has called off party primaries intended to choose a flag-bearer for the Bugweri District LC5 seat after candidates’ supporters traded blows amid accusations of rigging. Yusuf Matambire and Grace Okurut are contesting to hold the party flag for the election that is scheduled for next month. Bugweri was annexed from Iganga and became operational on July 1, 2017. However, on Saturday, the exercise to select the party flag bearer descended into chaos after supporters of each of the candidates accused each other of rigging after some voters found their names missing from the voters register while it also contained ghost voters. 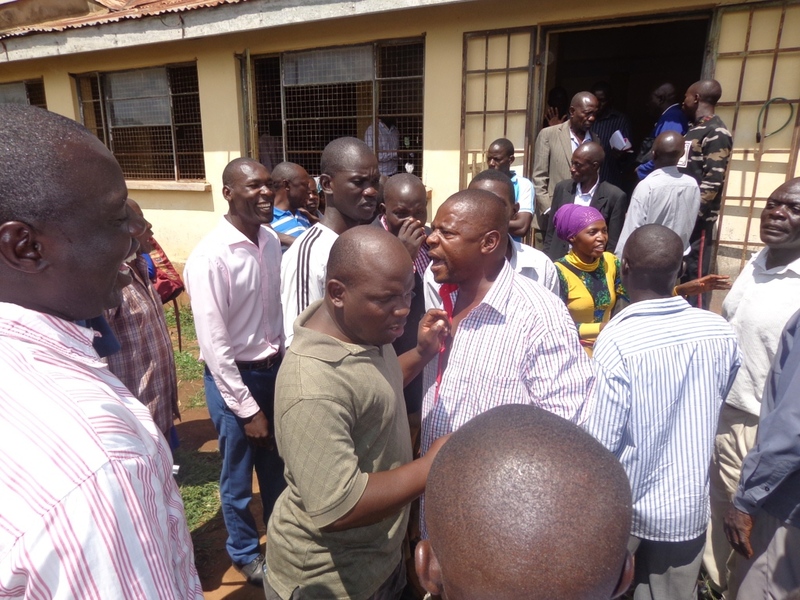 Bickering then ended in blows, forcing officers from the nearby Busesa Police Post to intervene and cool down nerves. Mr Richard Kudeeba from the party electoral commission then announced that the exercise had been postponed. “Together with the candidates, we have discovered that the register has some anomalies. On that basis, I postpone the election. As FDC we believe in a free and fair election,” he said.